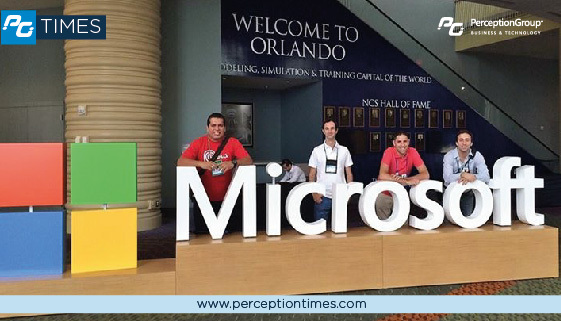 Once again and on the grounds of a new recognition, Perception Group participated in the Worldwide Partner Conference , the meeting for Microsoft‘s business partners all round the world , held in Orlando, Florida from 12 to 16 July. 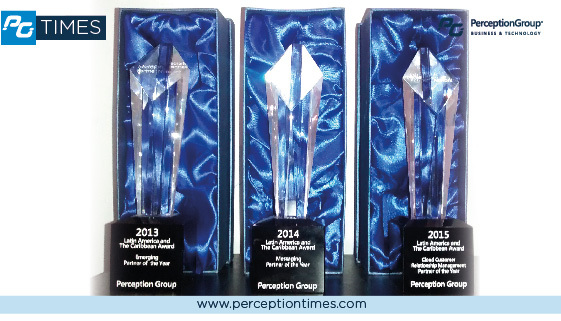 The three awards received by Perception Group on the Worldwide Partner Conference between 2013 and 2015 . These new award, the Cloud customer relationship management merit, recognizes Perception Group’s efforts to enhance the sales, marketing and customer service processes. One should also bear in mind that the company is already a regular participant of these ceremonies , mostly because of its past recognitions, both in 2013 and 2014 . On those occasions, Microsoft awarded Perception as an emerging company and a pioneer in the migration to mail platforms across the region. This prizes confirm the effective expansion of PG in Latin America and the US through the implementation of increasingly sophisticated solutions. Speaking of Perception Group’s expansion, the atendees on behalf of the company were Jonathan Saiegh and Gaston Zelerteins, Perception Group directors , Diego Majlis , commercial manager for Argentina and Darby Chavez, front man of the company for Peru . For the first time the team traveled representing four countries: Argentina, Ecuador, Peru and United States. 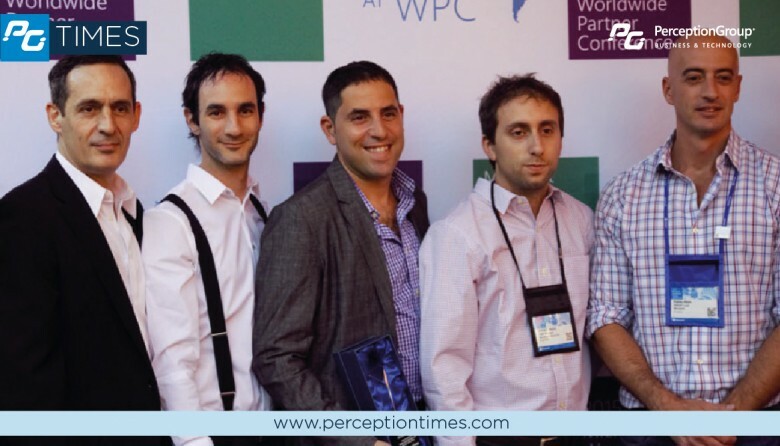 Darby Chavez, Gaston Zelerteins, Jonathan Saiegh and Diego Majlis, Perception Group’s worldwide representatives. The WPC is one of the many Microsoft events since 2002 for all its partners, to plan marketing activities worldwide for the following year and recognize the progress made in the past . Perception Group participates in them since 2010 , having become part of exclusive events within the same as was the conversation with the CEO of the company, Satya Nadella . In the main photo, from left to right: Paul Lombardero (director of small / medium enterprises, partners and solutions on Microsoft new Latin American markets ) , Jonathan Saiegh and Gaston Zelerteins (Perception Group directors), Diego Majlis (commercial manager Perception Group in Argentina) and Pablo Abin (Manager of small/medium businesses and Microsoft partners Ecuador).